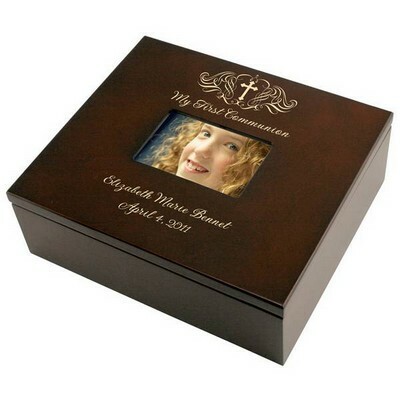 The special day of a child's Confirmation deserves to be recognized with an appropriate Confirmation gift. 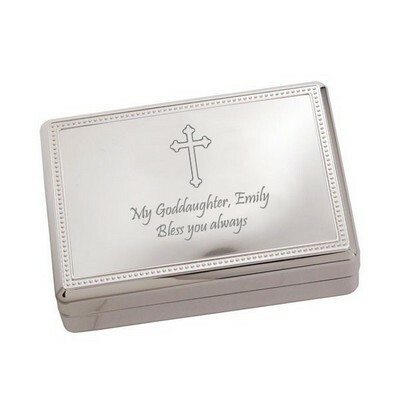 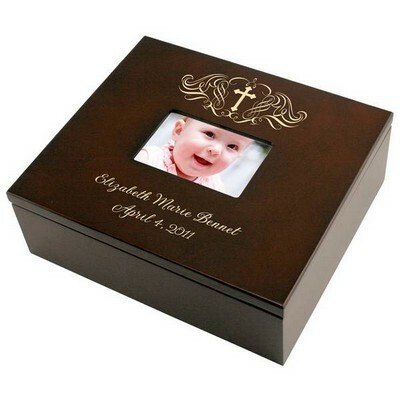 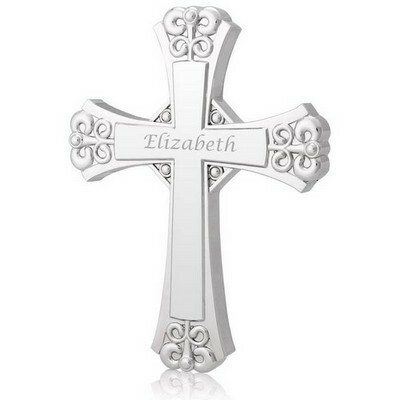 This personalized silver Confirmation keepsake box is a great way to let them know how proud you are of their path in life and how much you love them. 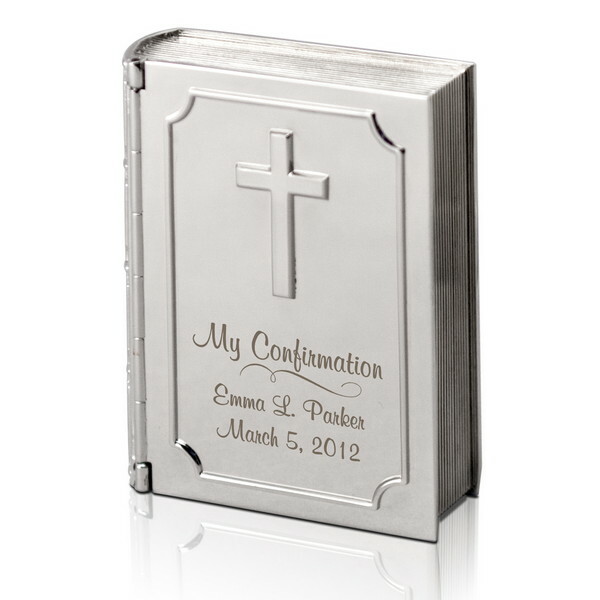 It is a big day that they will look back on for the rest of their life; this silver bible keepsake box will serve as a reminder everyday of their faith and your love and support for them. 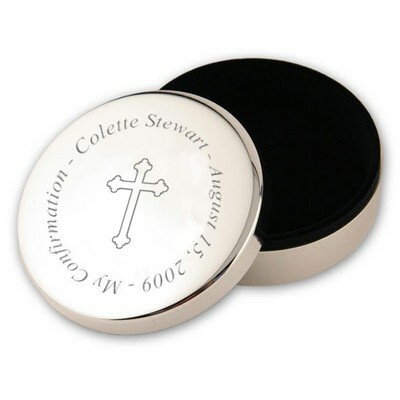 Lined in plush velvet this silver keepsake box is the perfect place to store their valuables or jewelry from being lost, damaged, or scratched. The silver box has a beautiful cross on the front cover, a comforting symbol of their eternal faith. 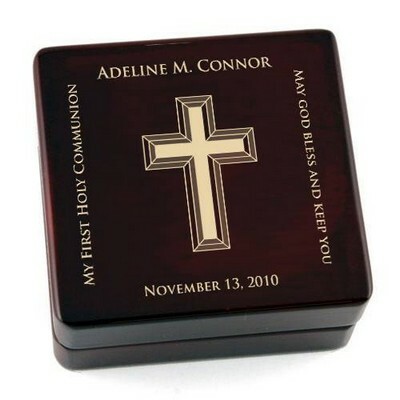 Beneath the cross reads "My Confirmation", reminding them that you thought of them on their special day. 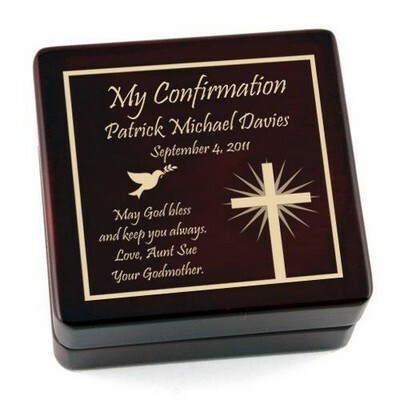 Add a personal touch to their Confirmation gift by having their full name and the date of their Confirmation laser engraved on the front cover. 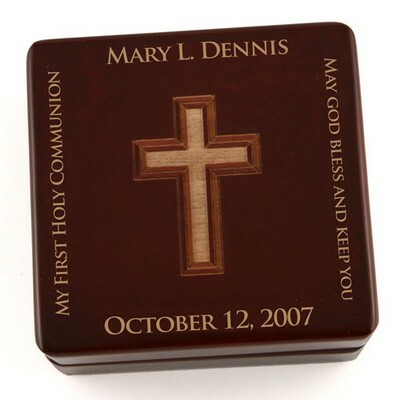 They will receive many Confirmation keepsakes for their special day, but this will be the most meaningful. 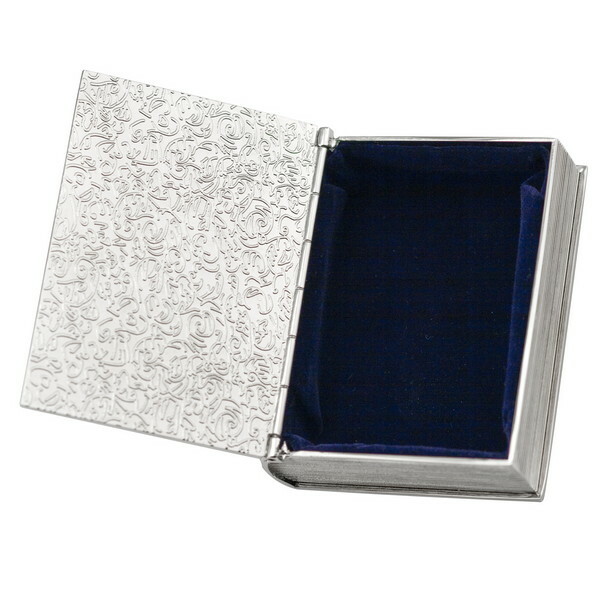 The non-tarnish finish on the silver ensures that it will chine brightly for as long as they have it. 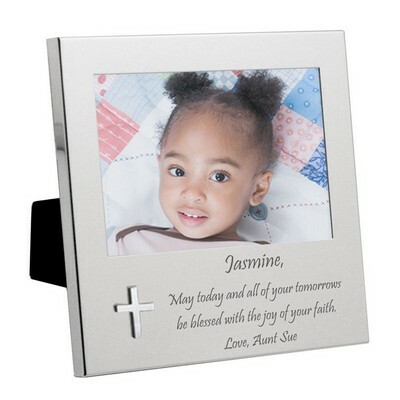 Its size, 3 1/2" tall by 2 3/4" wide and 1" deep, is the perfect size to keep on a desk or dresser. You and the recently Confirmed will both be happy you chose this beautiful silver keepsake box.